Dimensions: 3,4 x 2,7 x h.1,65. 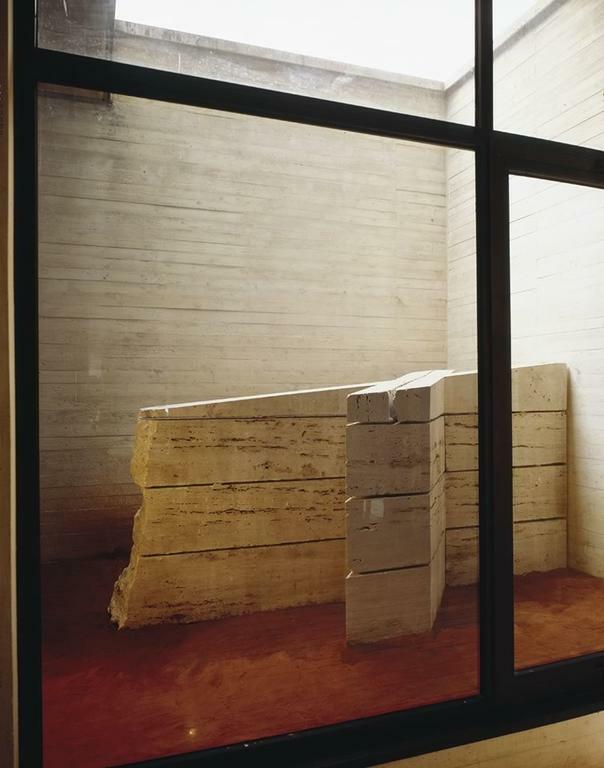 On the wave of the emotion caused by the terrible assassinations in the summer of 1992, that resulted in the deaths of two magistrates, Giovanni Falcone and Paolo Borsellino, along with their bodyguards, Dompè created a genuine funeral monument. 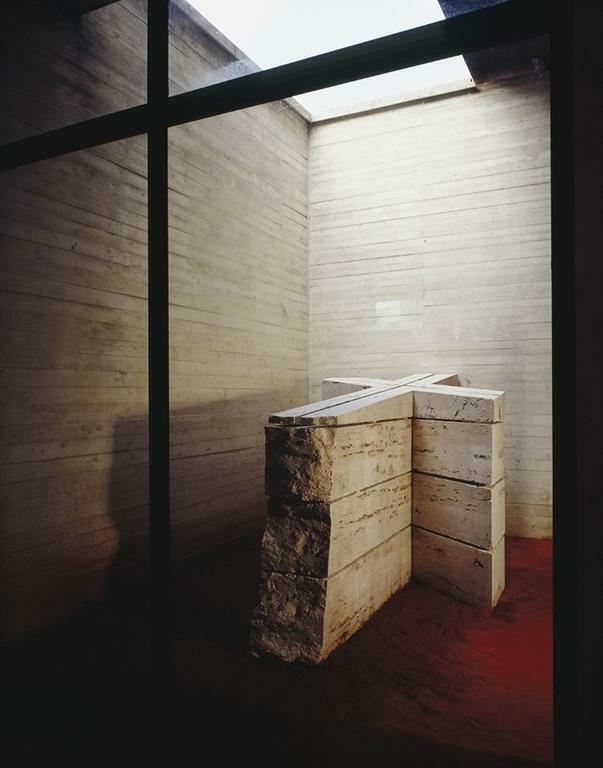 On the red earth the imposing travertine cross is silhouetted with painful emphasis, at the centre of a ‘well’ illuminated from high by sunlight. 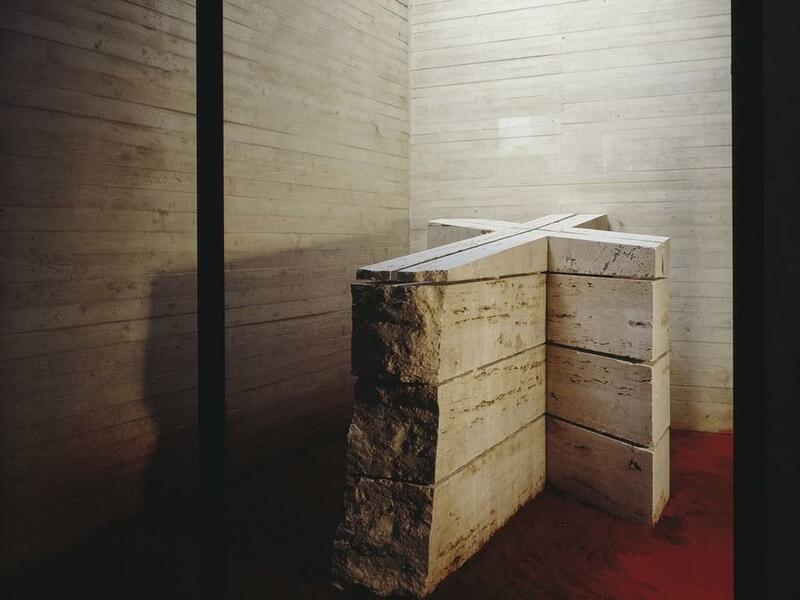 The cross is the symbol of death but also of the inseparable link between the two magistrates, evoked by the joining of the two arms of the cross; the thickness created by the superimposing of the blocks of travertine give to the installation a dramatic heaviness, while the oblique cut of the same stone creates a sense of instability and slippage. In this installation, the artist deliberately searched for a more intense relationship with the public, with a work that requires a pause by the faithful who visit this Abruzzese sanctuary, a moment of civic reflection on this contemporary tragedy.